ok, firstly day 6 & 7 were spent by the pool in the warmth of the Mediterranean sun. So, day 8 of our holiday took us on a boat trip to Fiskardo via Ithaka, is was an organised tour by Thomas Cook and cost about €50 each. I was expecting a modern boat with luxurious surroundings; no, not on this occasion, it was an old Diesel engine chugger, but hey, after completing the trip, it was good fun. 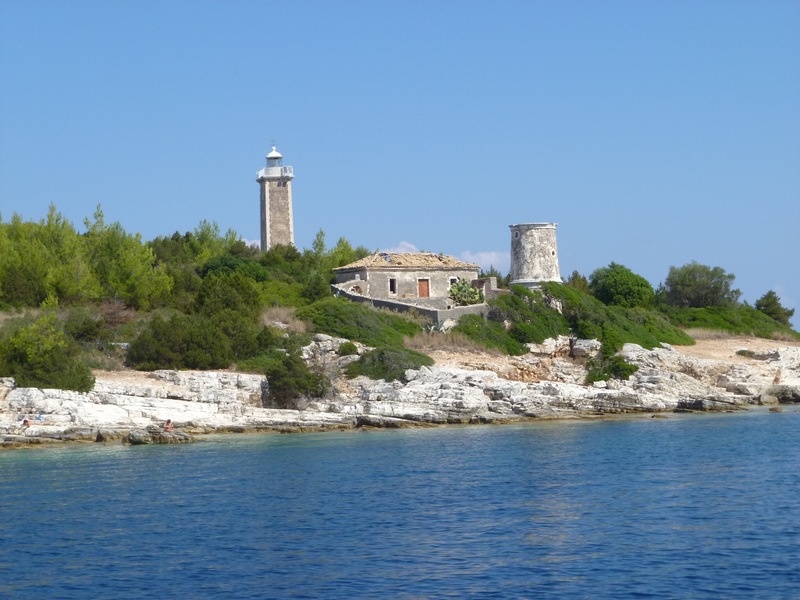 We departed from a small town just north of Sami and proceeded across the Ithaka channel to a small fishing village on Ithaka called Palos, we stopped here for an hour for a coffee and swim break, before proceeding back across the channel to Fiskardo. 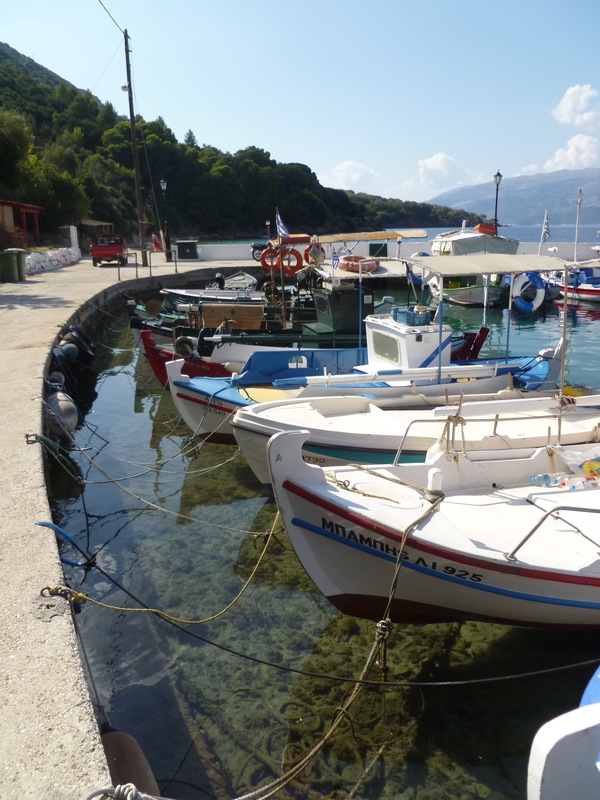 We arrived in Fiskardo around midday, before the rest of the larger tour boats arrived and were encouraged to eat first before walking around as it would get busy when the bigger boats came in. We were directed initially to the square by the rep, who I think must have had a deal with the taverna to bring tourists to that particular point. We on the other hand had different ideas, we have never been ones for following the rest and went our own way. We were told that the prices in the main harbour would be slightly elevated, because of the views etc. but we found that they were as per the norm and very affordable. We were also advised that the shops would bs more expensive due to the celebrity status that the town afforded due to its Hollywood and other actor and musician ties for holidaying; not the case, like everywhere else, the prices were affordable for gifts as well. We only had a couple of hours in Fiskardo, but we saw was nice and the locals were lovely. We could have done with another hour, but the boat awaited. The trip back took us in to a small bay, were we dropped anchor and was allowed to swim for half an hour.mi am sure that the solitary family on the beach thought that their day had been ruined with this chugger arriving with a bunch of tourists. Anyway, the overall trip was fantastic after all, it was a pleasant day out and worth the effort to get up early to board the coach, to take us on to the boat. One thing I would recommend is lots of sun tan lotion, having years of experience at sea, it is surprising how many people don’t take precautions in the sun when salt water is around.